Accuris Networks CONNECT SaaS Platform Links Sitwifi Enterprise, Municipal and Hospitality Wi-Fi Networks with Global Mobile Roaming Market. DUBLIN – 20 December, 2016 – Sitwifi has become the largest independent Carrier Wi-Fi services provider in Mexico by filling a vital need for high-performance, low-cost Wi-Fi in public locations. With smartphones set to account for 83% of all Mexican mobile devices, subscribers are demanding high-speed data access everywhere they go. Sitwifi network covers more than 150 venues, shopping centers, hotels and airports across Mexico with over 15,000 wireless Wi-Fi access points installed, ensuring visitors and customers have constant access to high-quality mobile data. Accuris Networks is a leader in carrier Wi-Fi services, enabling Wi-Fi roaming and hub services for Wi-Fi network providers and mobile network operators. With the Accuris CONNECT SaaS platform, service providers can quickly interconnect with other Wi-Fi providers and mobile operators to enable low-cost access to data services while subscribers are traveling as well as domestic data offload. Accuris Networks is providing Sitwifi access to the CONNECT platform which facilitates secure, trusted interworking between Wi-Fi and mobile service providers worldwide and includes Accuris new Hadoop-based eAnalytics server which simplifies the collection and analysis of millions of data elements available on subscriber behavior when using Wi-Fi. Sitwifi was born 9 years ago when a group of successful Mexican businessmen detect the need and opportunity to provide managed carrier Wi-Fi services including infrastructure, operation and management to large venues and public locations. Sitwifi is specialized in providing wireless connectivity solutions Wi-Fi in environments. Today Sitwifi is the largest independent Wi-Fi provider in Mexico with more than 15,000 access points in high user density locations: universities, hospitals, hotels, airports and more. Sitwifi is responsible for the operation, maintenance and infrastructure management ensuring the availability of it by contract. Accuris Networks helps service providers monetize the connectivity between networks. Accuris solutions enable subscribers to move seamlessly and securely between LTE, GSM, Wi-Fi, IPX and fixed networks while ensuring a superior quality of experience. Accuris Networks is a trusted supplier to blue-chip operators around the world including AT&T, Bell Canada, China Mobile Intl, EDCH, Telekom Malaysia, Telefonica and more. 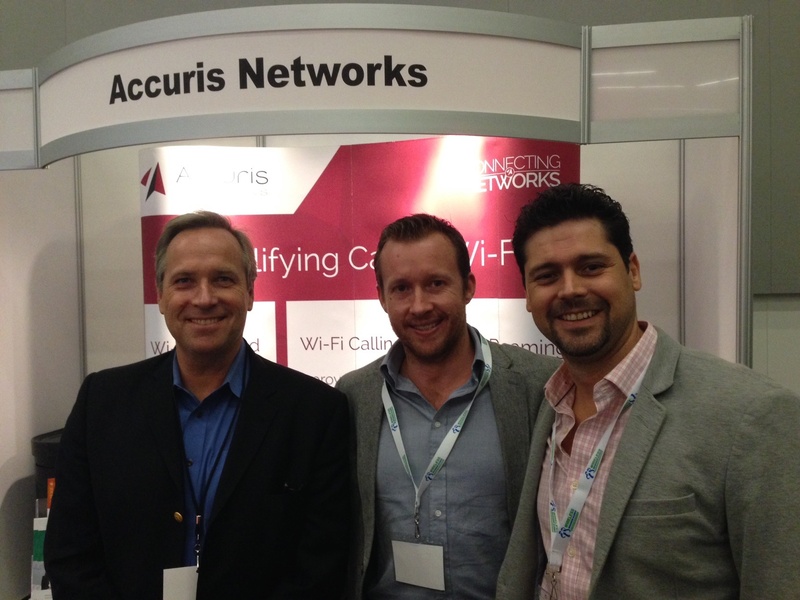 Visit us at www.accuris-networks.com or tweet us @AccurisNetworks.